Camco’s TastePURE RV & Marine Water Filter reduces bad taste, odor, chlorine and sediment in drinking water. 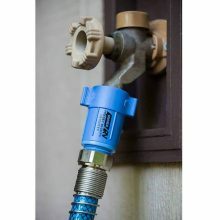 Connect the TastePURE Water Filter to your drinking water safe hose for safer, cleaner water. The TastePURE Water Filter has GAC (Granular Activated Carbon) filtration to provide you with safe drinking water from any potable water source. 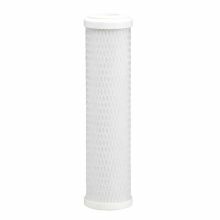 Durable in-line, exterior mount filter has a wide body for high flow. 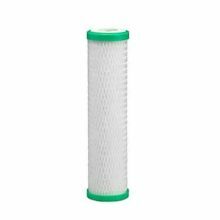 When first attaching the filter to your water source, allow the water to run free for a few minutes to flush the initial loose carbon out of the filter. When the water runs clear, the filter is ready for use. 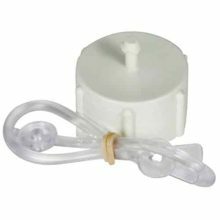 The TastePURE Water Filter attaches to any standard water or garden hose connection. Use this product at campsites to keep sediment out of your RV or marine fresh water tank and to improve the taste and smell of your drinking water for a camping season. Use it in the garden for reduced-chlorine watering and when washing your car to reduce mineral deposit spots. Cleaner water is also great for filling up your pool or hot tub, for home brewing, and for boating and marine use. 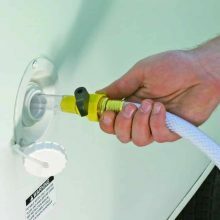 Camco RV Flexible Hose Protector with Gripper eliminates hose crimping at the faucet. 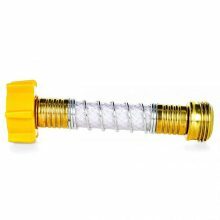 This hose protector comes with an easy gripper for effortless attachment to the faucet. 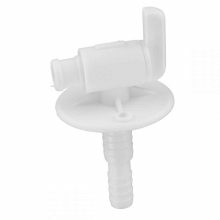 The Camco RV 3/8″ or 1/2″ Drain Valve Barb with Flange can be used to easily drain your RV fresh water tank. 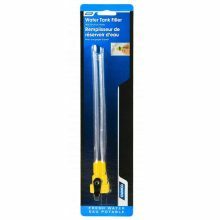 Constructed of durable plastic with dual-size barb for use with 1/2″ or 3/4″ vinyl tubing. 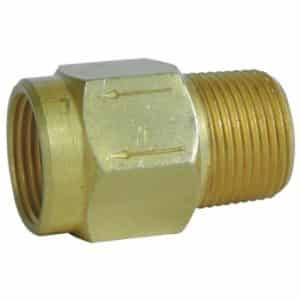 Replacement 3/4″ hose plugs and caps to keep dust and dirt out of your water system. 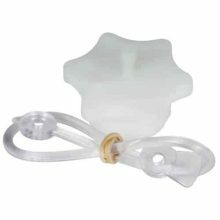 Each comes with an easily attached lanyard to help prevent the loss of your cap or plug. 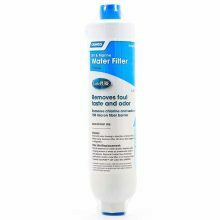 Filter trash and debris from your water system. 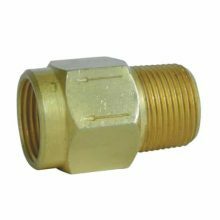 Washer fits any standard garden hose female coupling. Stainless steel 60×50 mesh traps dirt particles before they enter your RV system. 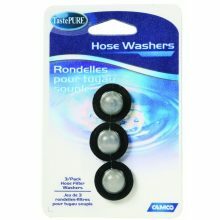 Ideal for washing machine hookup. 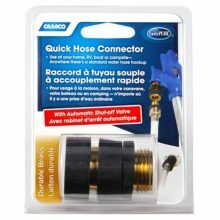 Use the Camco RV Brass Quick Hose Connect to connect and disconnect your garden hoses quickly and easily. 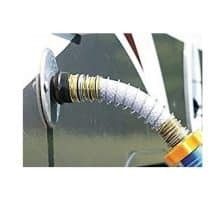 It’s perfect for RV or residential hook-up. Made of solid brass with automatic shut off when disconnected. 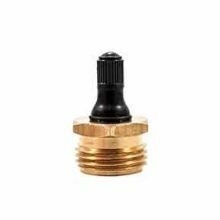 Camco RV Plastic Water Pressure Regulator stops damage to your RV water hose, pump or internal lines from inconsistent water pressure in campgrounds. 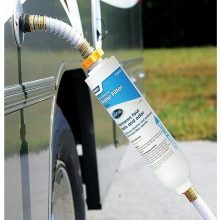 Camco RV Water Tank Filler with Shutoff Valve helps fill your water tank in a fraction of the usual time and eliminate “bubble-back.“ Large 5/8″ fill tube allows you to fill your camper, trailer or motorhome water tank at or near full pressure while minimizing line backflow. 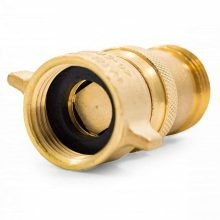 Quarter-turn pressure-sealed valve allows you to selectively control water flow. 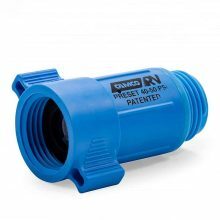 The D-15 Basic drinking water cartridge provides 3 months/ 250 gallons of refreshing drinking water by reducing chlorine taste, odor, particulates, bad taste and sediment. 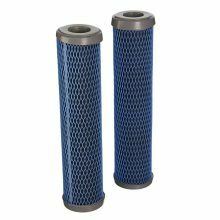 With its durable, non-cellulose carbon construction and a 5 Micron rating, this filter is ideal for under sink applications. 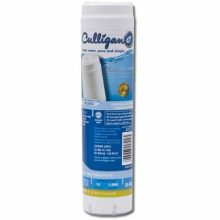 The D-40A premium filtration replacement cartridge works as a replacement filter cartridge for the Culligan US-550 and US-600A. The US-600A fits compactly and installs easily on a 3/8″ cold water line under the counter for convenient access to filtered water from the existing kitchen faucet. The unit is designed with an integrated mounting bracket for added installation ease. 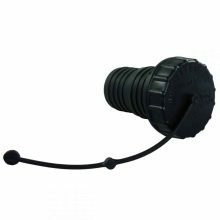 This cap, strap and spout is the replacement for most gravity-style fresh water fills. The cap has a tab-style twist lock to assure a good seal. The strap is heavy duty plastic which holds up to UV Rays. 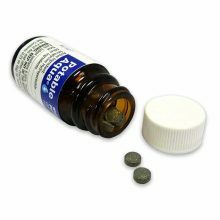 Used worldwide by campers, hikers, militaries, emergency organizations, and anyone else who needs to drink water of questionable quality, these Portable Aqua iodine tablets will disinfect contaminated drinking water in a pinch. The tablets–which are intended for short-term or limited emergency use only–make most water bacteriologically suitable for drinking, proving effective against Giardia lamblia when used as directed. Each Potable Aqua tablet contains 20 mg of Tetraglycine Hydroperiodide (TGHP), which liberates 8 mg of titratable iodine when released into water. Within 30 minutes, the iodine will have penetrated the cell walls of the microorganisms, rendering them inactive and making the water bacteriologically suitable to drink. For use only when drinking water is of questionable quality. Is not for use on a continuous basis. Read the complete product label and follow all directions for use. 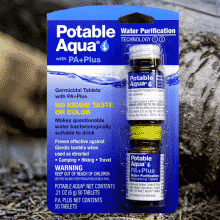 Used worldwide by campers, hikers, militaries, emergency organizations, and anyone else who needs to drink water of questionable quality, these Portable Aqua iodine tablets will disinfect contaminated drinking water in a pinch. The tablets–which are intended for short-term or limited emergency use only–make most water bacteriologically suitable for drinking, proving effective against Giardia lamblia when used as directed. Each Potable Aqua tablet contains 20 mg of Tetraglycine Hydroperiodide (TGHP), which liberates 8 mg of titratable iodine when released into water. Within 30 minutes, the iodine will have penetrated the cell walls of the microorganisms, rendering them inactive and making the water bacteriologically suitable to drink. 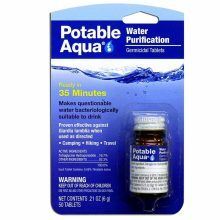 Potable Aqua tablets also neutralize the iodine aftertaste and color, improving the taste of your drinking water. PA Plus are neutralizing tablets for use after water has been treated with Potable Aqua. The PA Plus tablets neutralize the iodine after-taste and color in the water in just 3 minutes.